On July 4 at approximately 1:00 a.m. the Calcasieu Parish Sheriff's Office responded to a one vehicle accident at the intersection of Highway 90 and Jones Rd. in Lake Charles after receiving a call from LA State Police. The car was headed was westbound. When troopers arrived on the scene they observed people attempting to render aid to the driver of the car, Dorian Colston, 21, Lake Charles. CPSO detectives determined Colston had been shot several times. He was transported to a local hospital where he was pronounced dead. 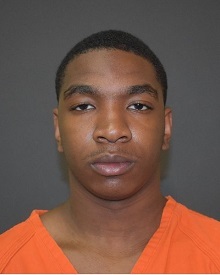 On July 7, Judge Robert Wyatt signed a warrant for 2nd degree murder for Jermaine “Dutt” Washington, Jr., 22, Welsh, with a $1,000,000 bond. On July 15, detectives learned Washington was possibly in a Toyota Tacoma that was traveling along I-210 in Lake Charles. Detectives along with CPSO patrol deputies located the truck at approximately 10:15 p.m. on I-210 near the Enterprise Boulevard on-ramp. Deputies conducted a stop on the truck and located Washington in the passenger’s seat of the truck. After detectives spoke with the driver, Tarek K. Sonnier, 21, Crowley, they served a search warrant on the truck and located 3 bottles of Codeine. Washington and Sonnier were arrested and booked into the Calcasieu Correctional Center. Washington is charged with 2nd degree murder; and possession of CDS II with intent to distribute. 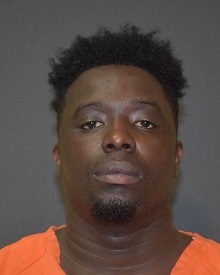 He has an active warrant out of Jeff Davis Parish for distribution also or possession with intent of schedule CDS II; illegal possession of a firearm in the presence of a controlled dangerous substance; flight from an officer; possession of CDS I; possession of CDS IV; and careless operation. CPSO Detective Travis Lavergne is the lead investigator on this case.